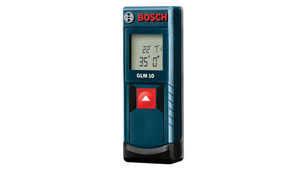 The Bosch GLM 10 laser measure is the smallest, simplest way of measuring. 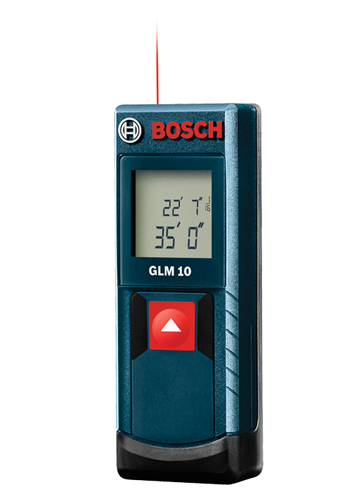 Thanks to its laser precision technology and continuous measurement mode, it takes instant and reliable measurements up to 35 Ft. Square and compact by design, the GLM 10 laser measure is ready for anywhere portability. It fits comfortably in your hand and easily into your pocket. The laser measure is simple to operate, so users need only press one button to get accurate measurements to within 1/8 In., and press again to hold the measurement.